Tony Parker expected to play the first game of the NBA Finals . The Spurs begin their series rematch against Miami on Thursday , and stellar guard recovering from a sprained left ankle. "Improving every day and hope to play ," he said on Thursday, San Antonio coach Gregg Popovich . Parker 's injury aggravated Saturday . The French player missed the second half of the game in which the Spurs won the final of the Western Conference against the Oklahoma City Thunder . Parker did not practice Tuesday but hoped to be back on Wednesday . During this postseason, Parker leads the team , averaging 17.2 points and 4.9 assists. However, it has been plagued by injuries in the last two rounds .
" I always tried to be honest with Pop ," Parker said of his coach. " He knows everything, but 50% if I try to play . If I'm less than 50 %, then we can discuss it ." Tony Parker agreed that the ankle has given discomfort from the series of the second round of the playoffs against Portland , but not reported at the time. "I do not like to talk when I'm hurt ," he said . " I played well all series against Portland . 's Why I think I hurt my hamstring , because I played with an ankle problem ." 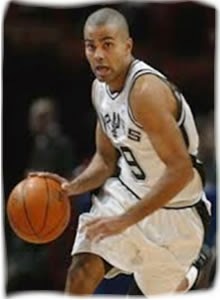 Tony Parker suffered tendon stiffness in his left hamstring in the second quarter of the fifth game against the Trail Blazers. The rest of the series was lost. In contrast, there was absent from the final match any Westerns by the hamstring problem . But he suffered ankle in the fourth game against Oklahoma City. "I went to twist, but I said nothing ," he said . "I played well , and in the sixth game, I think my body said , ' enough is enough ' . Timing was good to rest five days, improve and be ready for the opener " final . Still, San Antonio managed to tie the series by beating Oklahoma City 112-107 in overtime to advance to the sixth final in their history.